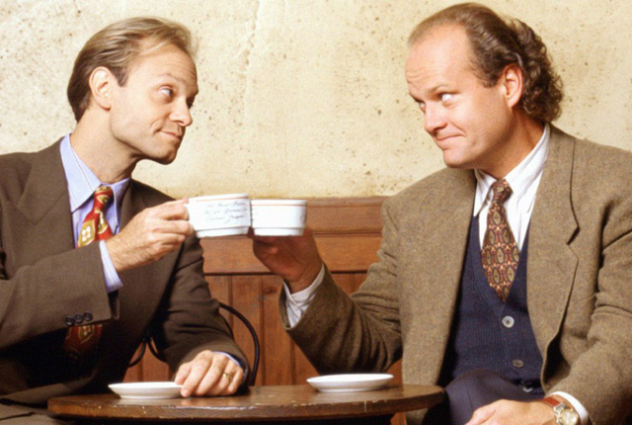 Hello Frequent Flyers and welcome aboard our 92nd flight, Fraiser. Change is inevitable, seasons, Starbucks flavours, the showing at the Opera. But that doesn’t make it easy, in fact, it could be the hardest thing in the world, right up there with your less-mobile father moving in with his hideous couch, his freaky dog, and his ‘no-talking-about-emotions’ to his physiatrist son, Fraiser Crane. But surely change can be good – maybe La Traviata isn’t your jam, maybe The Magic Flute is more your style, or a psychic live-in assistant.